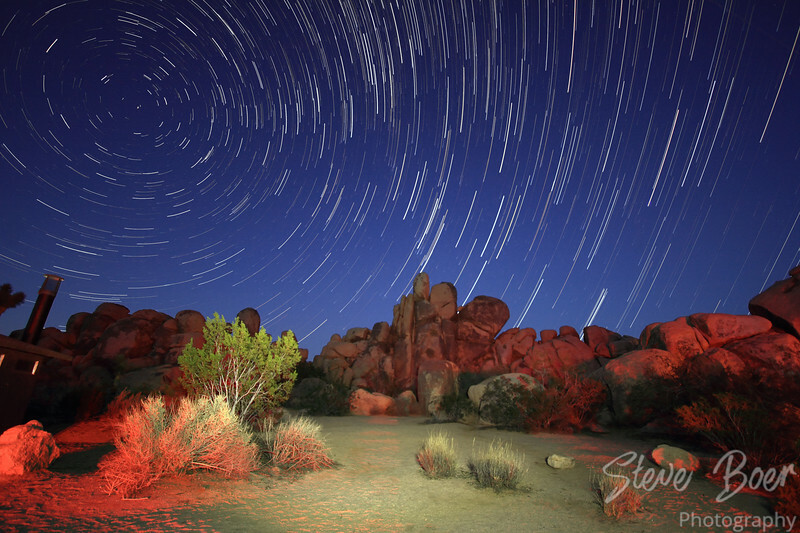 This photo was created in one of the picnic areas in Joshua Tree National Park. Headlights and taillights from cars leaving the area during my shots is what created the surreal foreground lighting. I think it makes it look like a strange movie set or something, but I kinda like it. It does look like a tv or movie set. It reminds me of Star Trek (original series) or The Muppet Movie. Yeah, Star Trek, I can hear the fight music now, where’s the Gorn? YES! I was thinking the Gorn, too! Haha! Great minds, right?